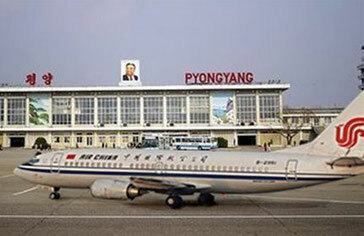 China's flag carrier, Air China has scrapped flights between Beijing and the North Korean capital Pyongyang due to “unsatisfactory business operations,” a company spokesman said. He added that a resumption of the service "depended on the market" conditions. Air China, which opened the Beijing-Pyongyang route in March 2008, operated three flights a week using Boeing 737 aircraft. It was the only international airline with routes between the Democratic People's Republic of Korea (DPRK) and other countries, except Air Koryo, the DPRK's state-owned airline. Air Koryo's website lists flights from Pyongyang to Beijing, Shanghai, Shenyang, and Dandong in China and Vladivostok in Russia. According to a recent Reuters report, China has significantly cut coal, lead, and iron ore imports from the North, which are crucial for Pyongyang’s economy. Lead ore imports dropped 84%, iron ore shipments plunged 98%, and coal imports were down 71.6% from a year earlier. China also stopped selling gasoline and diesel to North Korea at the end of June over concerns the country would fail to pay for the goods. The restrictions are still in force. Last month, Singapore suspended trade relations with North Korea, the latest of Pyongyang’s major trade partners to cut commercial ties under toughening U.N. sanctions over its weapons programme. Singapore is North Korea’s seventh largest trading partner. The Philippines, Pyongyang’s fifth biggest trading partner, suspended trade with North Korea in September to comply with a U.N. resolution. However, the non-partisan, Washington-based Institute for Science and International Security said in a report earlier this week that dozens of countries have violated the international sanctions on Pyongyang in recent years. The report, drawing from UN data, said a total of 49 countries violated United Nations sanctions on North Korea to varying degrees between March 2014 and September 2017, including North Korea's top trading partner, China, as well as Germany, Brazil, India and France. Twenty countries have also been linked with helping shipments to and from North Korea reach their destinations, often by "re-flagging" or changing the national registration of ships to disguise their origin, the report stated.